Ex Aussie Call Centre Worker & Part Time “Work From Home Wannabe”… got made Redundant.. then became 'FULL TIME Business Owner'… and THEN… Made $2.7million...... in 12 Months. 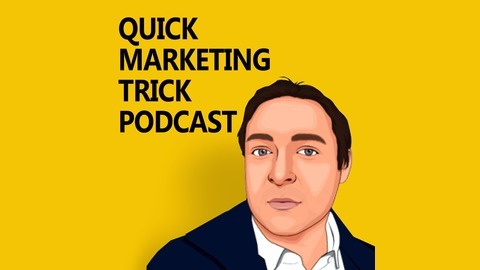 Introducing Chris Godfrey... His Quick Marketing Trick Podcasts Shares PROVEN Marketing Strategies and Tricks, Aussie Business Owners are Using.. to Get More Signs Ups and Sales. HIT That SUBSCRIBE BUTTON ^^ up there ^^ and listen to a couple of episodes, see if you can copy these marketing tricks to get more customers in your own business. Ep42. My First Facebook™ Live. Warning! Embarrassing episode.. This is an audio recording of my first Facebook live on my page at https://facebook.com/mrchrisgodfrey . What I'm talking about and sharing in the FB live is ok, it's just the guy who is on camera for the first time (me!). 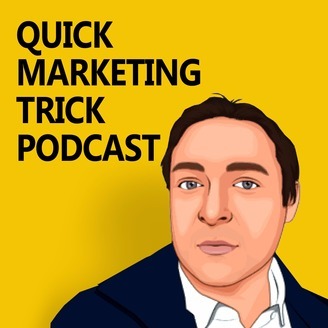 A little shy and awkward.. You can listen to it here on this episode, episode 42 of the Quick Marketing Trick podcast. And you could go to my Facebook page too and see it. Here: https://facebook.com/mrchrisgodfrey If you are wanting to build a company that had a face, an individual who will be the 'face of the company', going live to your followers on Facebook no matter how few there are... is a big advantage - because not many people are willing to do it. It's not easy, and that's why I want to do it.. not many people will. And therefore, that's why you should do it too! Follow me on Facebook, watch my slow and awkward progression - learn from my mistakes and you'll be one step ahead of me. Enjoy this episode.